By meeting students' where they are and developing a customized approach, our test prep helps build an arsenal of tools that will prove invaluable for the test and beyond. "Rainbow Tutoring’s SAT Prep Intensive Workshop was an amazing course that truly helped me improve my scores. The people there were so nice, sticking with you the whole way to make sure that you completely understood how to do something. 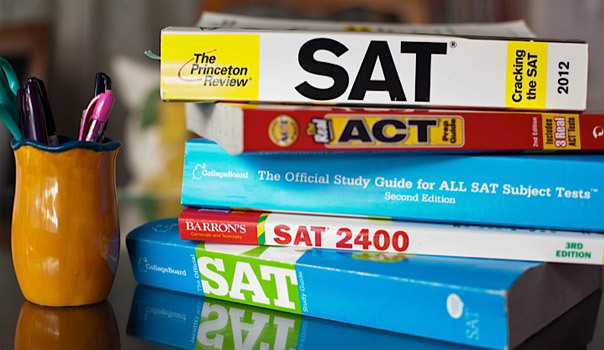 I'm glad I did this prep course and I have gained confidence going forward with my SAT." "While searching for an SAT tutor, I met with many tutoring companies while seeking the right place for me. When I discovered Rainbow Tutoring, I fell in love! After my first few sessions with Cindy, I was actually excited about the SAT. Rainbow Tutoring has made the SAT feel easy for me because they have given me confidence. I highly recommend them." "Because of Cindy’s unique and highly individualized approach, I was able to raise my SAT score from 1850 to 2380! Cindy is the most inspiring, creative, personable educator I have ever worked with throughout my years of schooling. She has helped me blossom in every facet of my life. I would not be where I was now if it had not been for her creative ingenuity and steadfast guidance."